Tiny Muller Haul - Cherry Colors - Cosmetics Heaven! 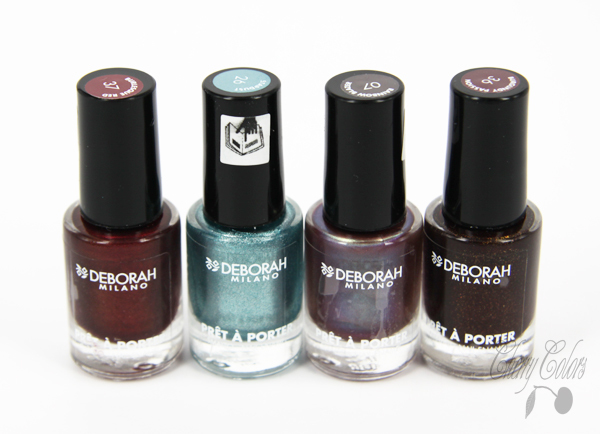 I went shopping with my sister two days ago and I saw this new box of Deborah Milano MINI nail polishes. I know I said I don't need any new nail polishes, but they were so cute! And tiny! And they have stickers with the color and name on top! I couldn't resist! They were also cheap (1,89€). *I also needed a new facial wash and decided to try the Essence. *Plus my favorite hand cream again from Essence. *And the gel liner from Essence. I only have a fake mac one which is incredible, but I wanted a new one. It is brown. *TerraNaturi lip balsam wish is actually pretty good! *Sponges cake - because the sephora blender gets dirty too soon (I'll post a review) and it's a PITA to clean!